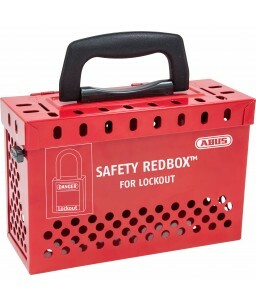 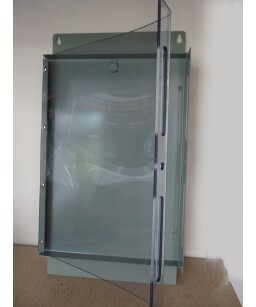 Group Lockout Boxes Portable or Wall Mount. 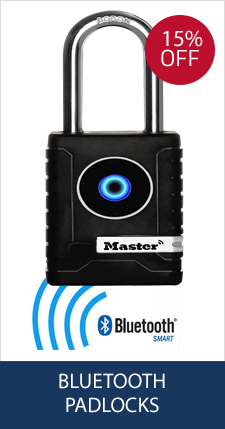 When working in any form of industry, security of machines, people and working environments is key to ensuring the safety of any job or manufacturing process. 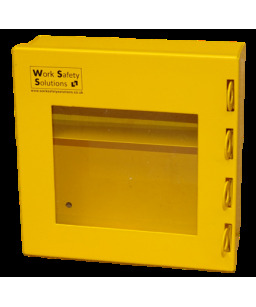 Here at Work Safety Solutions, we aim to supply products which afford you peace of mind and real security at your place of work. 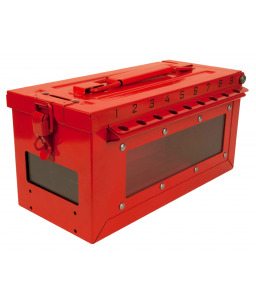 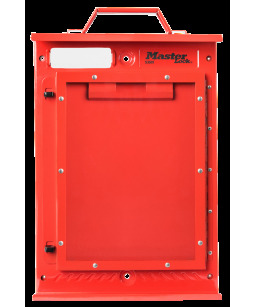 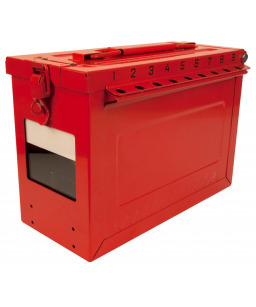 No matter what piece of equipment you use in your industrial working environment, our Group Lockout Boxes are the perfect solution to ensuring safety whilst carrying our servicing or maintenance. 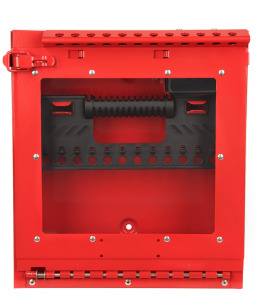 The UK Provision and Use of Work Equipment Regulations (1998) states that lock-off protocol should be used to prevent the unexpected activation of machinery or equipment during servicing or maintenance. 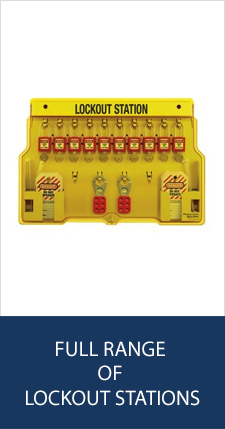 The perfect way to ensure this lockout is a Group Lockout Box, and the way they work is simple: You lock each lockout point on the piece of equipment you plan to service, maintain or repair, with a padlock. 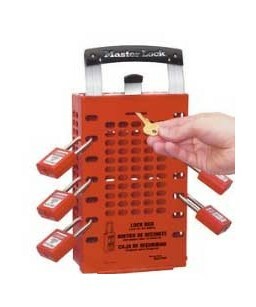 The key to these padlocks are then placed inside a Group Lockout Box, which is then secured with another padlock controlled by authorised employees or supervisors. 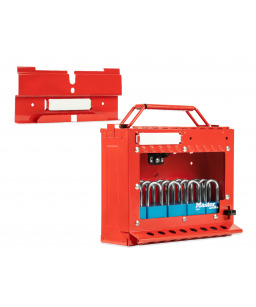 These stringent security measures ensure that each lockout point is safely secured without the risk of harming your servicing and maintenance team. 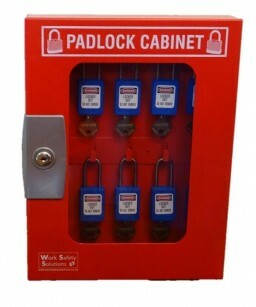 Once the work is completed, the authorised employees or supervisors use their key to unlock the padlocks on the Group Lockout Box, freeing the keys to unlock the equipment in question; the lockboxes will not open until all padlocks are removed, providing ultimate protection. 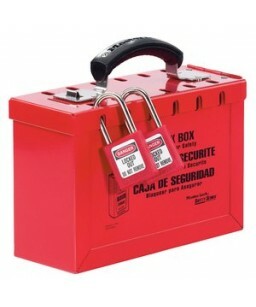 We currently supply Group Lockout Boxes and Security Key Boxes across a variety of different prices, sizes and brands. 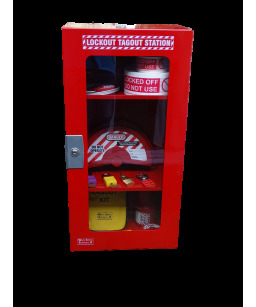 Our product prices range from £28.95 (exc. 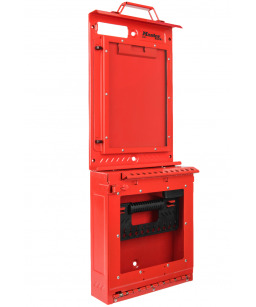 VAT) through to £599.99 (exc. VAT), depending on the size and type of lockout box/ lockout system you require. 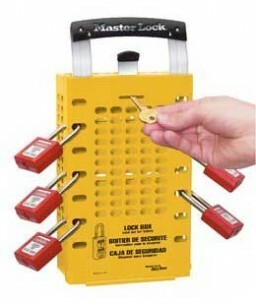 The brands we currently supply include Work Safety Solutions, Masterlock and ABUS. 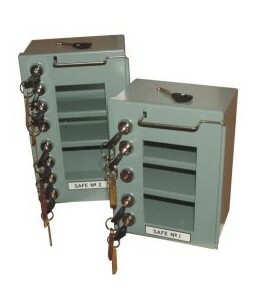 We offer Group Lockout Boxes designed to hold from 4 padlocks up to 48 padlocks, depending on your company’s needs. 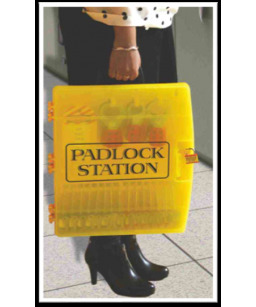 Look no further for security and safety than Work Safety Solutions.